spring skiing Archives - Ski. Play. Live. In honor of Alta Ski Area’s closing weekend, I give you this awesome SkiUtah tribute video from 2011; quite possibly our last big snow season. But it is snowing out today (April 25, 2015) so Sunday could be epic! 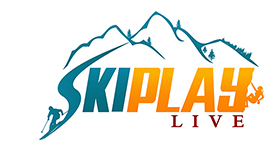 Ask PCSkiGal: Second Thoughts About Skiing Spring Break? I’ve seen folks out rockclimbing this week in both LCC and BCC.